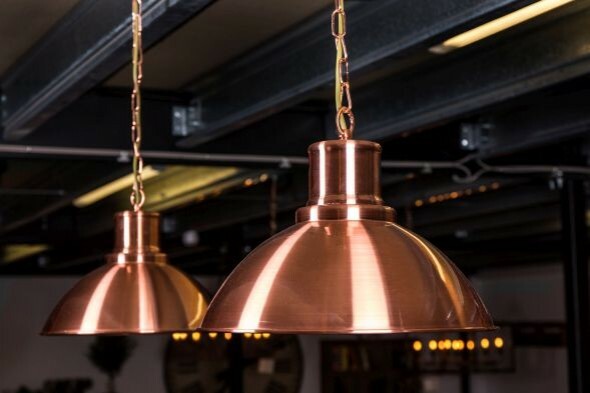 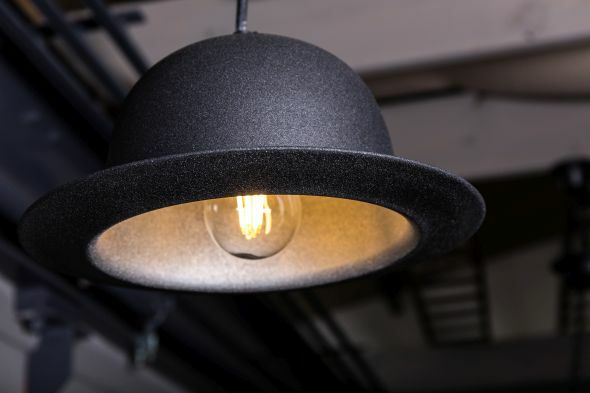 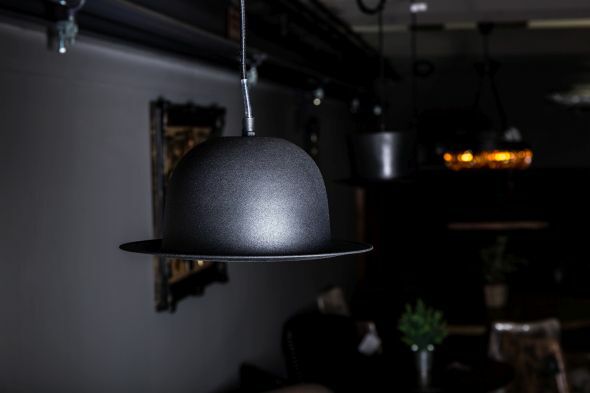 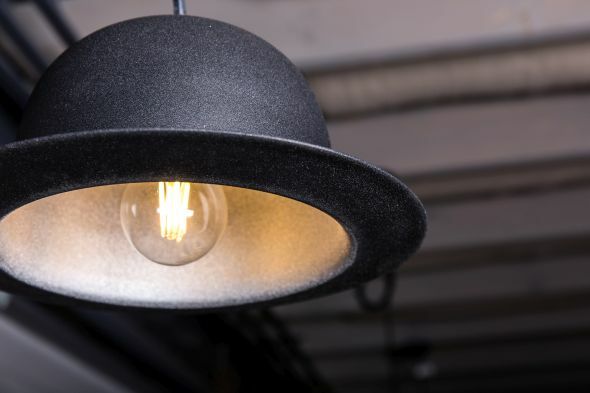 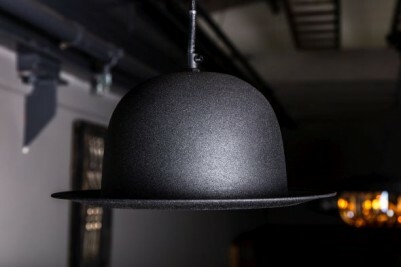 The perfect statement of British eccentricity, our bowler hat pendant light is sure to bring a smile to anyone's face. 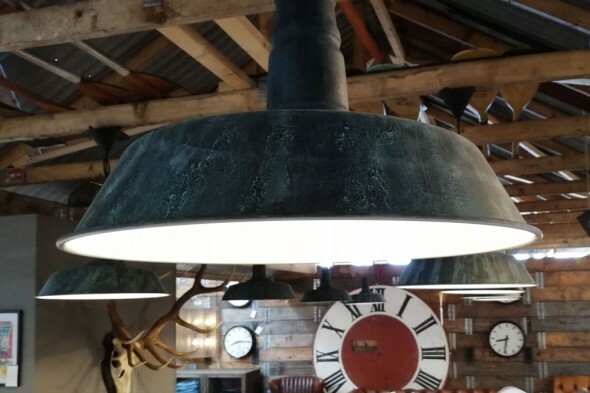 It would be a quirky addition to a modern kitchen or home study; alternatively, it would suit a traditional British pub, bar or clothes shop. 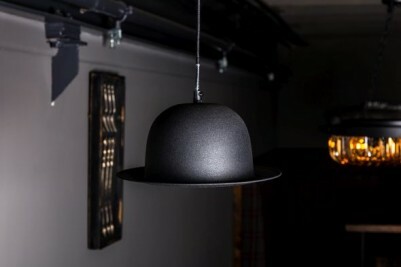 The hat light looks great on its own, or you could hang them in sets of two or three. 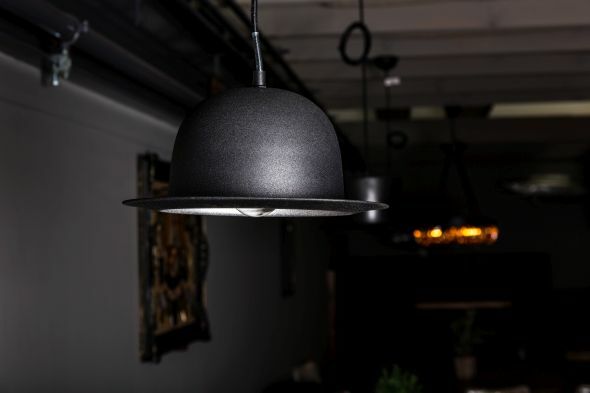 The cord is adjustable, so you can adapt it to suit your interior. 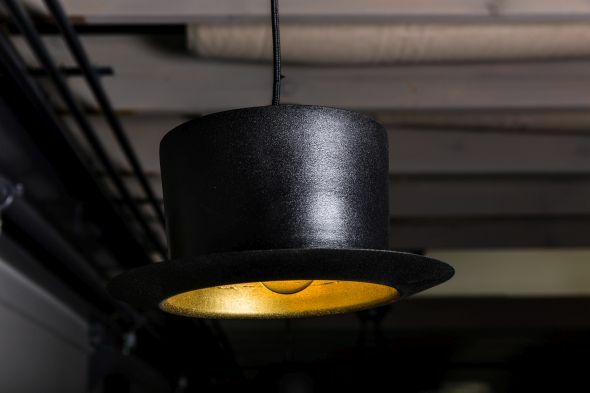 We also have coordinating top hat lights. This listing is for one light only; however, we do have more in stock.